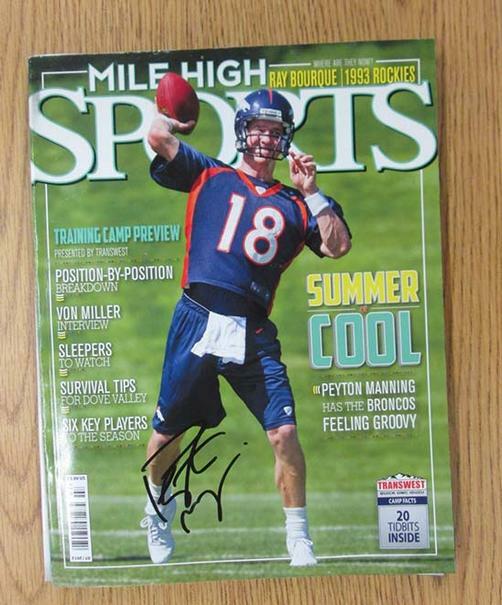 Original AUTOGRAPHED Mile High Sports magazine featuring The Denver Broncos Peyton Manning. 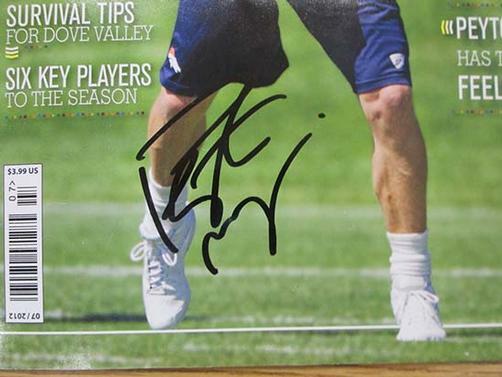 Hand-Signed by Peyton Manning. Light handling marks and creases. Includes a Certificate of Authenticity.